A real pleasure to welcome Rep. Scott Holcomb to Political Talk. 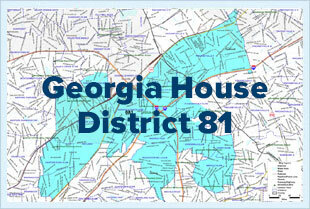 Rep. Holcomb represents the 82nd district in the Georgia House of Representatives. 1. His service in Bosnia, Afghanistan and Iraq, and his thoughts on President Obama's announcement of bringing home U.S. forces from the Iraqi theater. 2. The importance of e-recycling. 3. The entrepreneurial opportunities with renewable energy in Georgia. 4. His goal to increase teacher salaries to $75,000 - and whether or not that is feasible. 5. And of course, we get his take on tax reform, unemployment, job growth, education, transportation and infrastructure improvements.